Rodgers & Hammerstein, Sony Music Entertainment and Twentieth Century Fox proudly honours the 50th Anniversary of the 1965 box office smash and five-time Academy Award-winning The Sound of Music, with an unprecedented year-long company-wide celebration highlighted by theatrical and home entertainment releases, and a spectacular slate of cross-company and promotional partnerships that will bring one of the world’s most ‘favourite things,’ to millions around the globe. 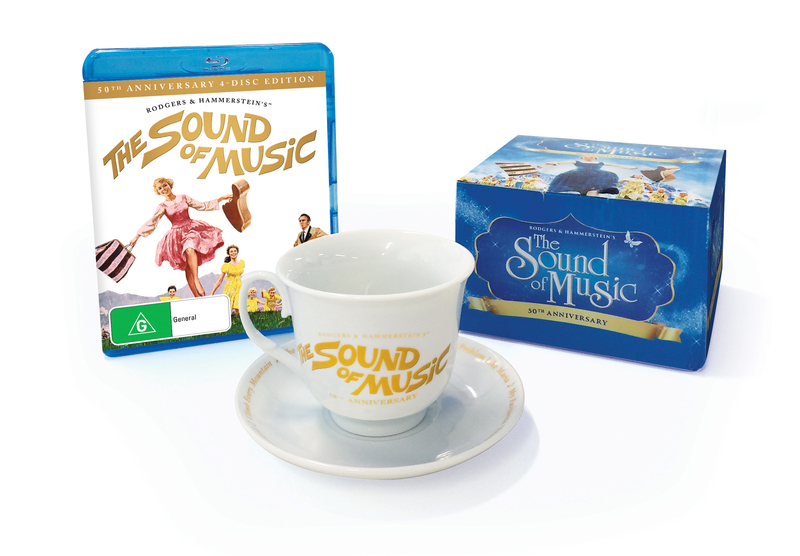 Announced by the Studio, the unparalleled golden anniversary of the film’s premiere will launch April 22nd, 2015 with the release of the 4-disc 50th Anniversary Collector’s Edition featuring a limited edition porcelain tea cup. Beautifully restored, the 4-disc 50th Anniversary collection features over 15 hours of bonus content highlighted by the all-new documentary “The Sound of a City: Julie Andrews Returns to Salzburg,” detailing Andrews' recent return to the magical city where she filmed her iconic role Maria half a century ago! The treasured and much loved film will once again proudly shine on the big screen in celebration of this special anniversary. A beautifully restored digital version of the film will be shown on "Mother's Day" May 10th at selected cinemas. "The Sound of Music is one of the most beloved movies of all time and has become part of the cultural fabric of generations around the world,” said Mary Daily, President of Worldwide Marketing and Chief Marketing Officer, Twentieth Century Fox Home Entertainment. "From its very beginning The Sound of Music has brought immense joy to millions. The 50th Anniversary offers us the opportunity to honour this very special film -- the music, scenes and moments that continue to keep it as relevant today as when it first premiered." A phenomenon upon it debut in 1965, The Sound of Music’s spectacular ‘roadshow’ release spanned over two years in cinemas, inspiring audiences on the way to winning the Best Picture Oscar as well as millions of fans spanning multiple generations. A testament to its enduring popularity, this timeless classic enjoys nearly 2.5 million Facebook followers (50% 34 years old or younger). The Sound of Music 50th Anniversary celebration will feature a global partnership with Princess Cruises, also celebrating their Golden Anniversary in 2015. The acclaimed line will screen the movie on board multiple sailings throughout the year along with themed events, sing-a-long experiences and more. The emotional all-new The Sound of Music documentary “The Sound of a City: Julie Andrews Returns to Salzburg” documentary blends personal memories with fascinating history as Ms. Andrews returns to key sites in the story of the von Trapps including Nonnberg Abbey, Mondsee Abbey, and the “Do-Re-Mi” steps at Mirabell Gardens. 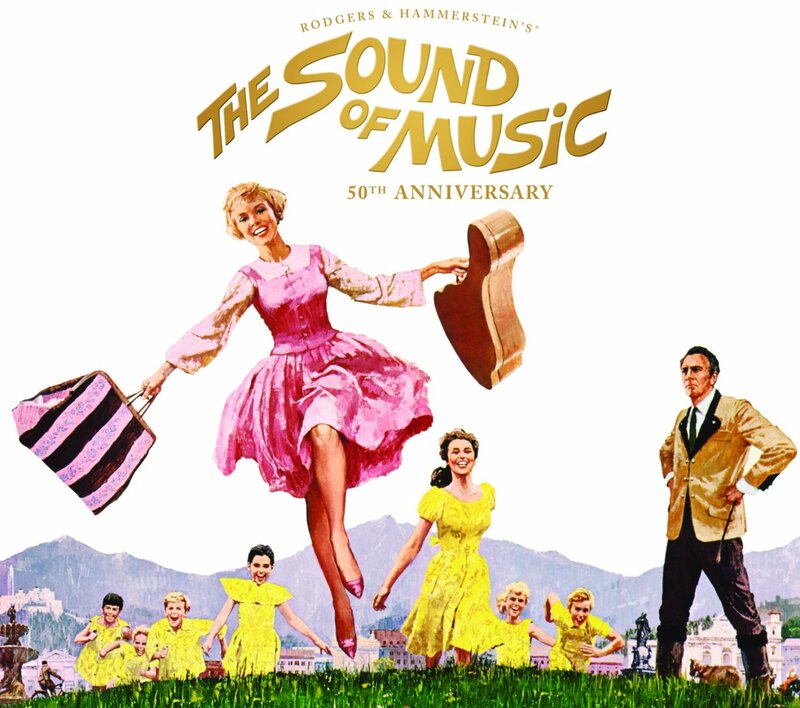 With the collection, fans can further explore the making of the biggest live-action musical of all time with numerous featurettes highlighting the movie, music, real-life von Trapp family and more. Before it was an Academy Award® winning film, The Sound of Music was a Tony Award winning Broadway musical, and productions of the stage musical continue to be presented all over the world. 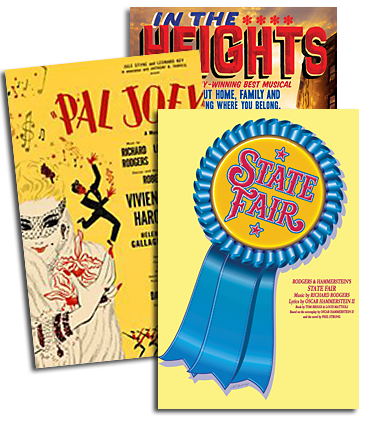 2015 will see the launch of a major new stage tour across the US and Canada, directed by Tony Award winner Jack O'Brien, simultaneous with another stage production touring the UK.